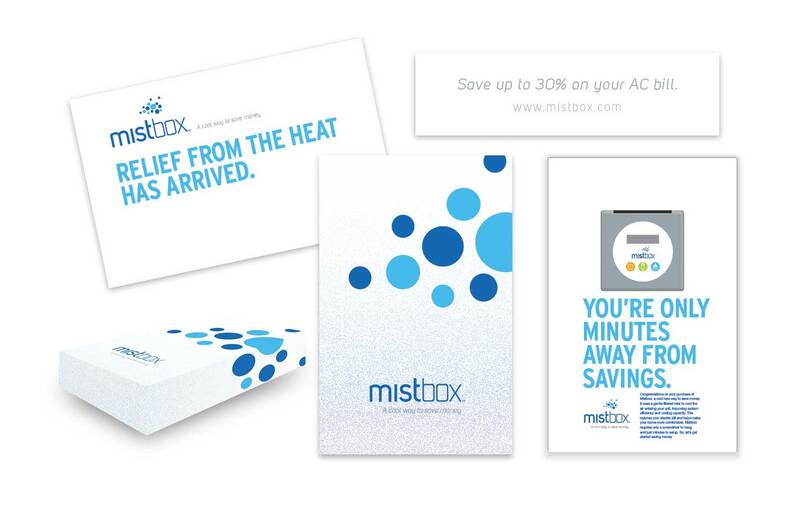 Mistbox is a revolutionary new product designed to improve the efficiency of residential air conditioning units by leveraging the properties of evaporative cooling. 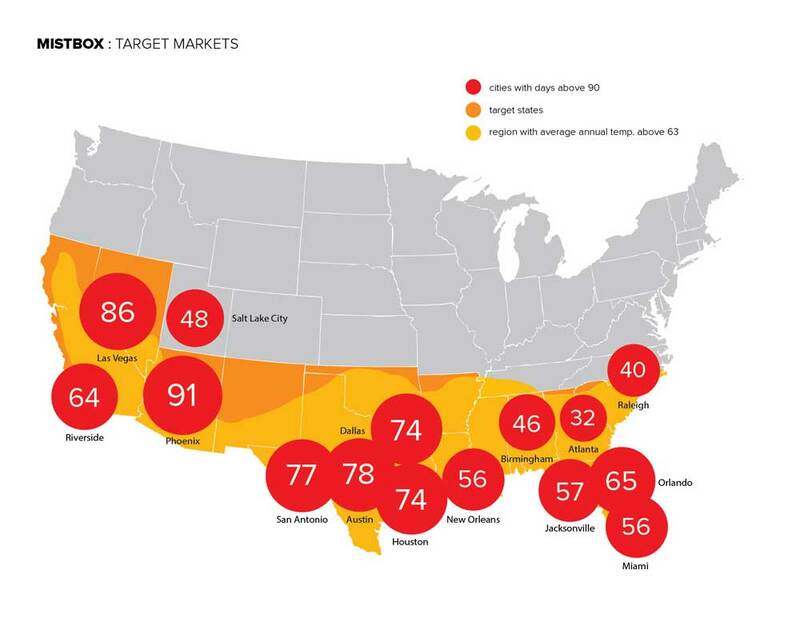 As a result, homeowners can expect average savings of 30 percent on monthly energy bills. 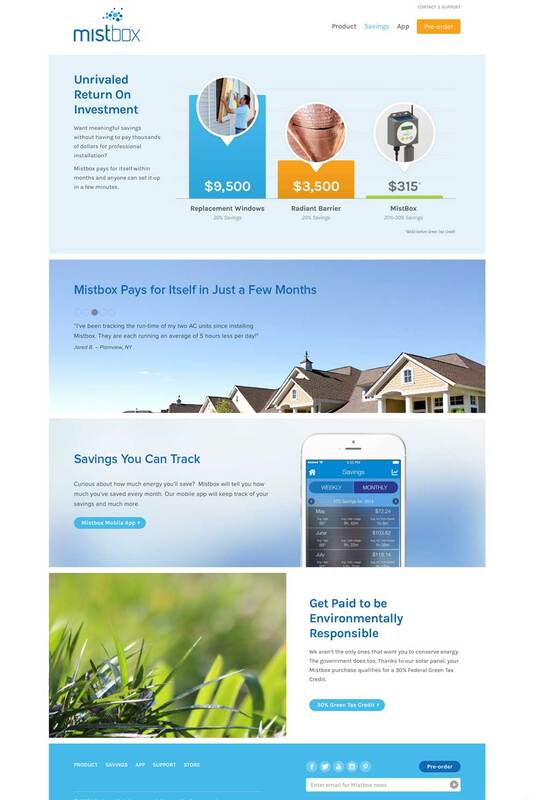 Mistbox is easy to install right out-of-the-box, it’s solar powered and Wi-Fi enabled with a mobile app for instant access to unit settings and usage analytics. 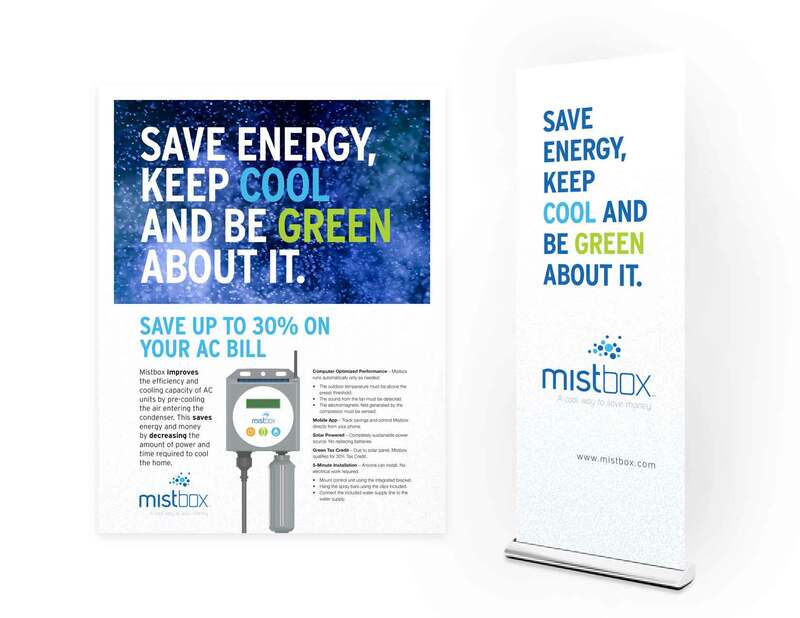 As a start up, launching a new product claiming remarkable savings, Mistbox needed to generate brand awareness while creating trust in a skeptical marketplace with a friendly, modern, innovative and smart perception. I was responsible for client proposal, audience and market research, brand strategy, branding, all design elements and messaging. 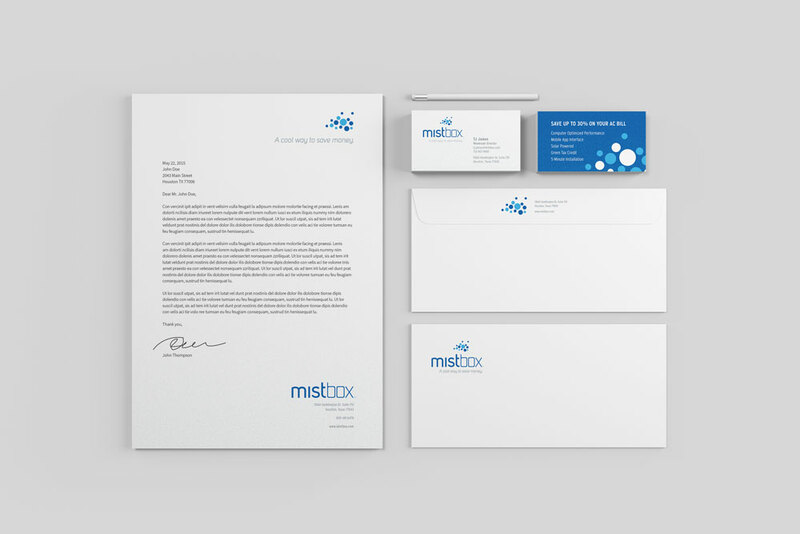 A complete branding system was developed including logo, identity, display materials, website components and messaging, packaging, product colors and membrane interface. 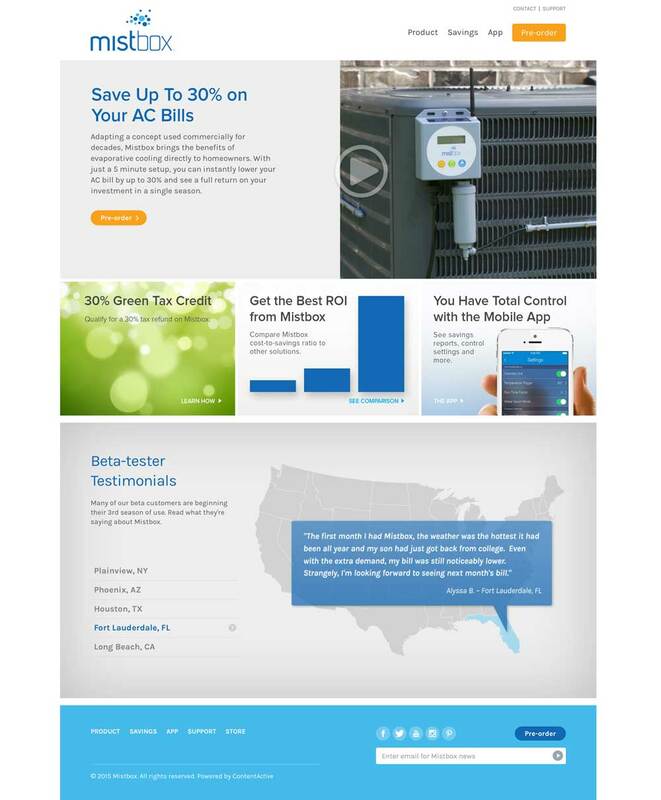 For homeowners looking for relief from summer heat and high utility bills, Mistbox provides the comfort of an easy-to-install solution that increases AC system efficiencies saving energy and money. 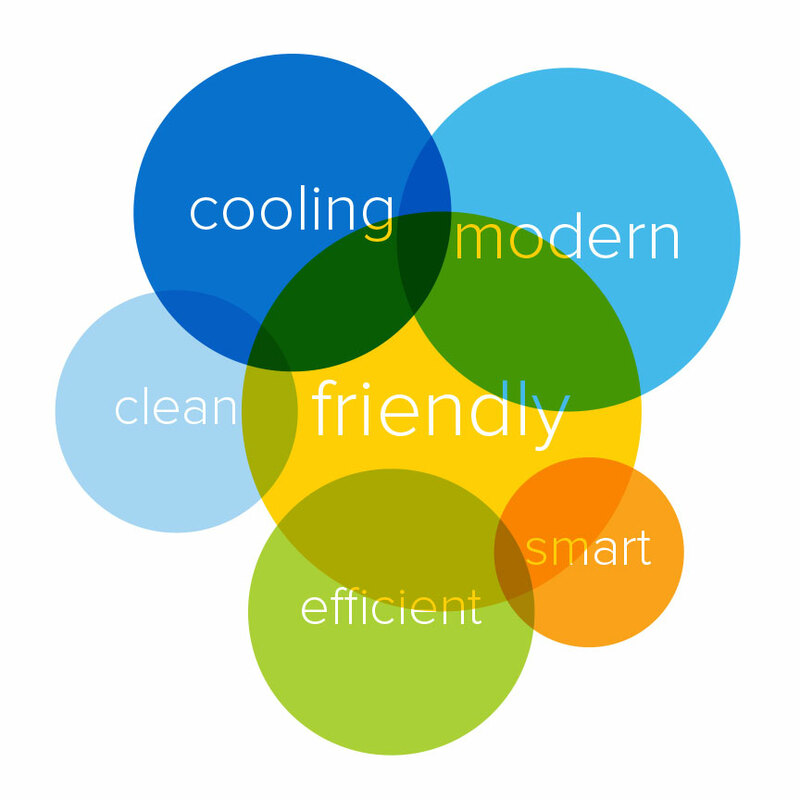 Mistbox leverages evaporative cooling combined with smart technologies to give homeowners a reliable and low-maintenance means of controlling their home’s environment. Packaging is as much a part of the customer experience as the web or a phone call. 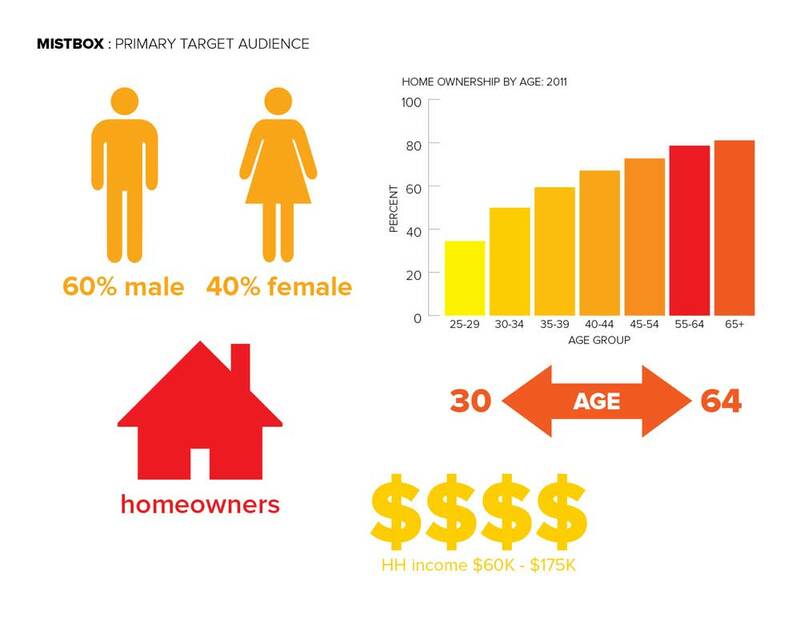 The product is a significant investment for a customer and its arrival to their home, and the process of exploring their new toy just as important. From the outside carrier box to the inside container, the package and its messaging is clean, smooth and reassuring that they made a smart investment. The inside container is silky smooth with a soft-touch coating similar to Apple packaging.